On tour across North America, Europe and beyond with Antibalas, celebrating 20 years of making music together. Back in Louisiana visiting family, doing research, writing, walking, observing and making new friends. Shaking off the old year. 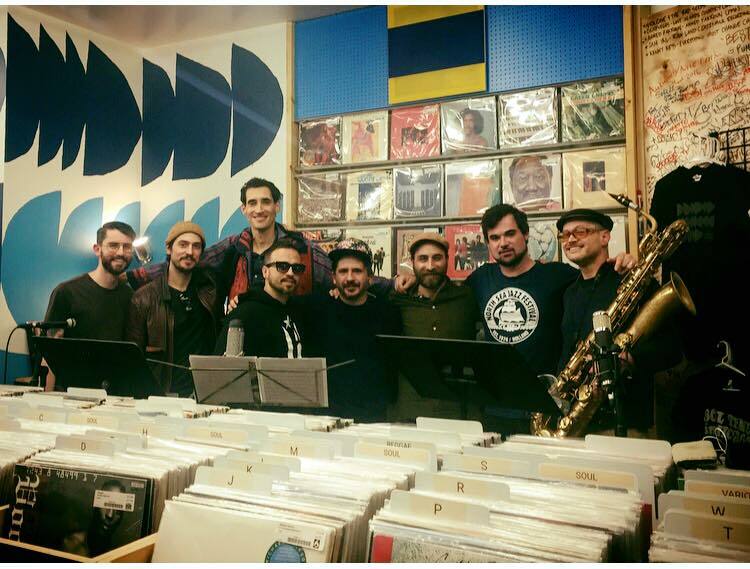 Congratulations / felicidades to Orquesta Akokán for the Grammy nomination for their latest release on Daptone records. I was honored to have to privilege of writing the album’s liner notes. End of 2018 reflections, touring, travels, work, life. Whoa! Our trip Bogotá was beautiful. So intense, dynamic and delicious, and as always, fleetingly short. I went with Antibalas to perform at Rock al Parque, a three-day (FREE!!) festival produced/funded by the city of Bogotá, featuring three stages, probably 100 or so regional, national and international bands, and over 300,000 people coming through. It was so much fun but not without its challenges. Each band only had 50 minutes to perform--we're just getting warmed up and into our third or fourth song by then. Bogotá is also (8,660 feet) above sea level. The altitude was no joke when it came to singing and blowing air through a horn. The cold weather (55F) was not ideal for tropical music but nonetheless it was a jam and a privilege to rock for such a great audience. Seeing Javier Bonilla and his group present Afro-Colombian music at Bar El Chaman. Arepas, of course, and lots of good coffee. Some delicious vanilla-steeped rum at bar Matik Matik with insane vinyl DJS, hanging out with one of my favorite bands--La 33-- at the birthday of Santi, the pianist, meeting master quena/flautist Fabian Triana and receiving a beautiful quena as a gift along with his music, digging for second hand vinyl in the flea markets thanks to tips from Quantic. UPDATE: We hit our and exceeded our goal! Antibalas has just 24 hours to meet our Kickstarter goal of $50K to film our upcoming musical pilgrimage to Lagos, Nigeria. In the past 29 days, over 421 supporters around the world have gotten us over 90% of the way there. Please help us reach this goal, and thanks to everyone who's already generously contributed. Congratulations to Balún on the release of their new album "Prisma Tropical" (out 7/20/2018). I was honored to be invited to the studio with the Antibalas horns, recording arrangements by trumpeter and Antibalas bandmate Eric Biondo for the song "Pulsos." The rough mixes of the record sounded fantastic and otherworldly. I'm so happy this crew is making music and that this record will be soon out in the world. About 15 years ago I was passing through Austin Texas on my way back from México. My man Adrian Quesada introduced me to musician (and at that time grad student) Alex Chávez. I moved to Austin and lived there for several years, and got to collaborate on a few occasions with Alex and the group MITOTE. The years went by...Alex earned a Ph.D and is now a professor at Notre Dame and a few years back got an exciting new project called Dos Santos up and running out of Chicago. Last fall, while on tour with Antibalas, we linked up again and recorded two songs for the new Dos Santos album. The session was a trip: we had very little time in between soundcheck and the gig, so they built an impromptu recording studio across the street from Thalia Hall at 606 Records. 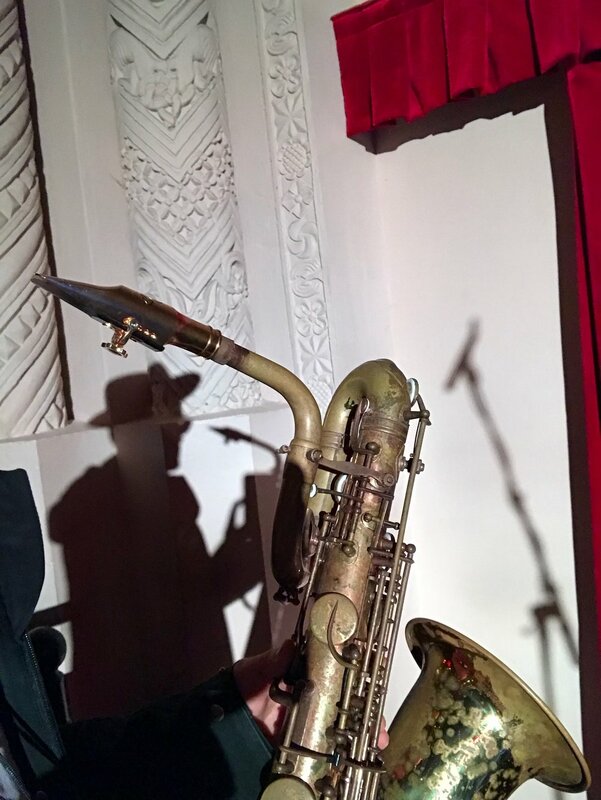 Amidst the bins of vinyl and sips of very good tequila, the four of us--Jordan McLean and Eric Biondo (trumpets), Morgan Price (tenor sax) and myself (baritone sax) knocked out the two songs with great charts by Nick Mazzarella. Thanks to Dos Santos for inviting the Antibalas horns to be a part of this beautiful work. The record is officially out 6/15/2018 on International Anthem. Preview/order the record HERE. At the end of 2016, Angelique Kidjo asked me to compose and prepare horn arrangements for "Crosseyed and Painless" by Talking Heads. I had grown up in the late 70s and early 80s listening to Talking Heads (thanks, MOM!! ), recorded with David Byrne and St. Vincent a few years ago, and then served as the musical director for "The Music of David Byrne and Talking Heads" at Carnegie Hall in 2015, with Antibalas as the house band. Little did I know that this would turn into doing horn arrangements for the entirety of Remain in Light, recording on the album with producer Jeff Bhasker, and touring the country and the world with Angelique, her band, amazing guest musicians (including David Byrne and Jerry Harrison of Talking Heads, Nona Hendryx of Labelle, Lionel Loueke, keyboardists Ray Angry and Jason Lindner), and of course, my brothers from the Antibalas horns. We just finished up a run of shows on the West Coast, and the project will continue to travel the world and beyond after the release of the album on June 8, 2018. For those who got a chance to see the show, THANK YOU!! For those who haven't, brace yourselves! It is powerful and poetic.